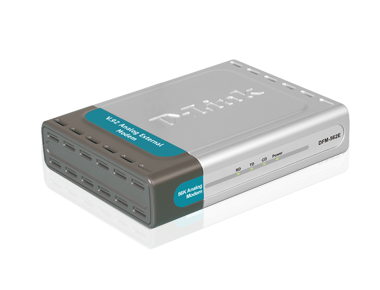 The D-Link DFM-562E modem is a V.92/V.90, 56Kbps analog modem designed for home and small office users. It can be plugged into any telephone port to provide desktop and notebook computers with a dial-up connection to the Internet. 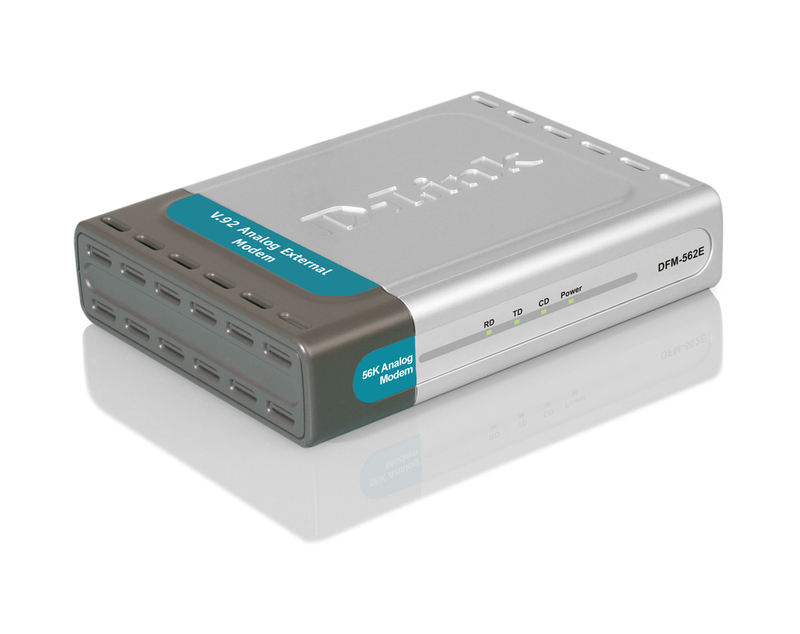 The DFM-562E modem plugs into any wall phone socket,acting as a dialer when prompted by a computer. This low-cost device allows home users to surf the Internet or access email. The DFM-562E compact and lightweight modem offers a fax transfer send and receive rate of up to 14.4Kbps in addition to communications software that is compatible with AT commands. This modem performs V.42bis & MNP 2-4 data compression and error correction for fast and reliable transmission/reception.